DC Superhero Girls Action Figures from Mattel are launched today, and are a fantastic new range of superhero figures based on female characters. 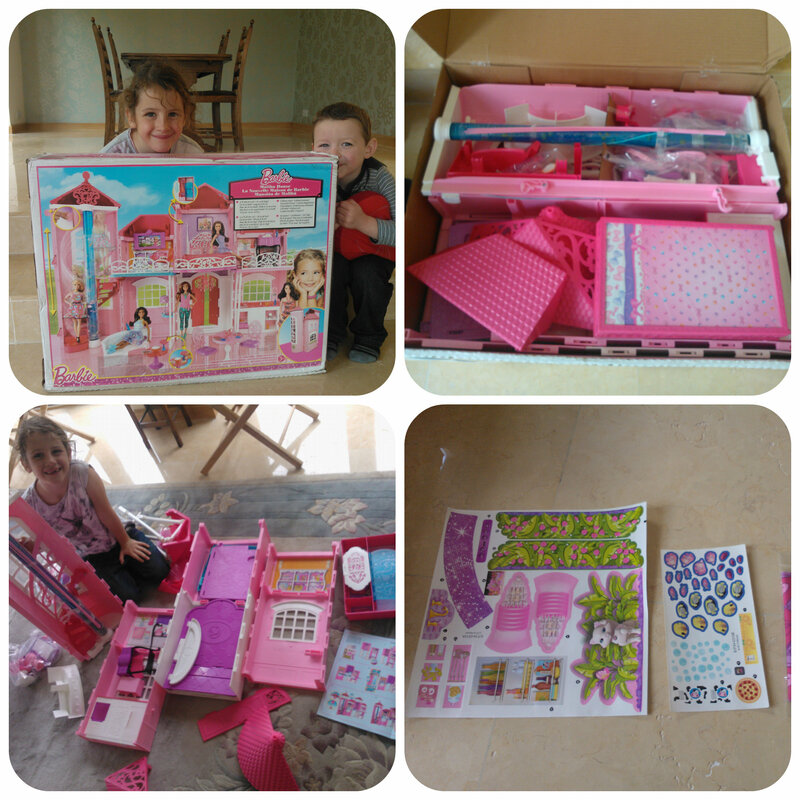 The range of poseable, 6 inch and 12 inch figures, along with other role play toys are the first line of action toys aimed at girls from Mattel, making them unique and different and allowing girls to feel empowered to discover their true potential. The range features familiar icons, with a revamped style, with name such as Wonder Woman, Supergirl, Batgirl, Harley Quinn, Bumblebee, Poison Ivey and many more. As well as toys, DC Super Hero Girls can be found in new webisodes, TV specials, and dvd movies, all capturing the female characters as teens through high school, and watching them discover their full super power potential. The 6 inch figures we tried out were Wonder Woman and Poison Ivy. Each are sturdy characters ready for action play with moveable joints and each come with a small accessory, Wonder Woman with her lasso, and Poison Ivy with a piece of ivy that detaches from her arm. Alongside the toys is the DC Super Hero Girls website, which is packed full of games, videos, meet the heroes and much more. There are also some fun quizzes to find out ‘What is your Super Hero power?’ or ‘Which DC Super Hero girl is most like you?‘. Miss M discovered she is most like Wonder Woman which she was quite happy with. 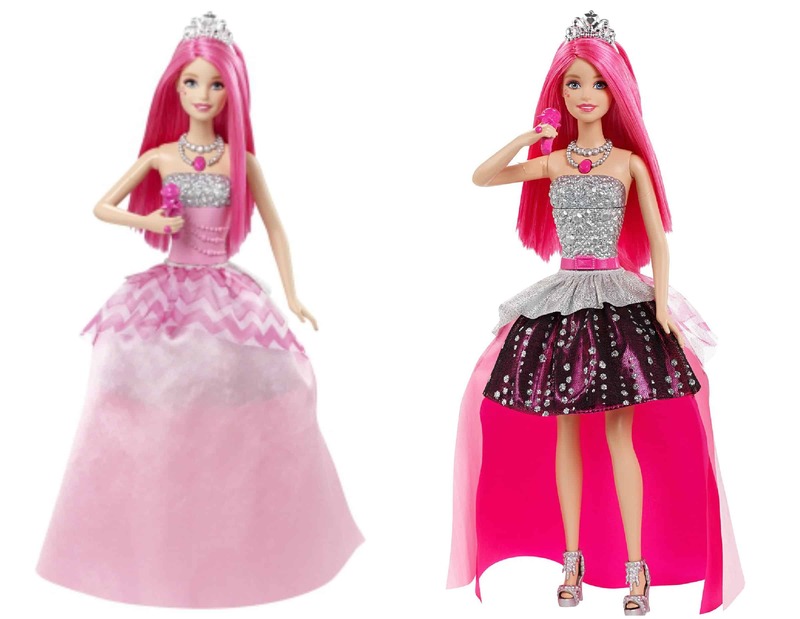 The new Monster High film Great Scarrier Reef has a fabulous new range of dolls to go alongside it. 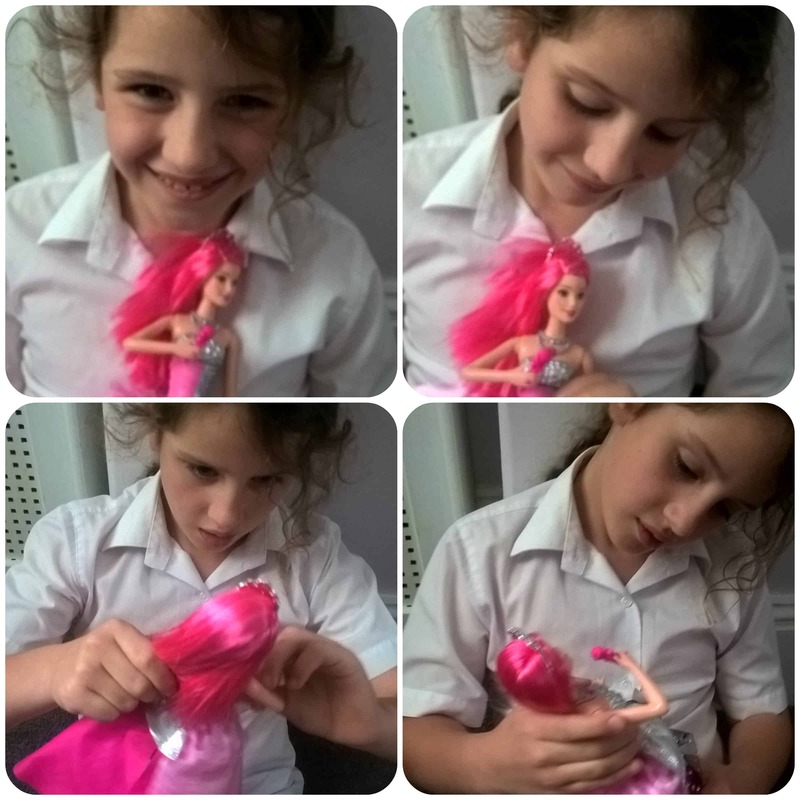 We have been lucky to try out the rather interesting Peri and Pearl Serpentine doll. With two heads and a fish tail body she really is very different from your usual doll but adds lots of interest and fun to play with. Included with the doll is a small paper diary which includes some facts about the girls, such as their age, style, pets, favourite activities, best school subjects etc. 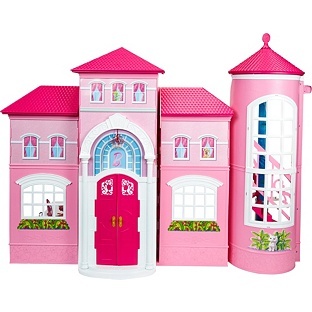 There are also a couple of diary entries to introduce you into their world and set the scene for imaginative play. Peri and Pearl are beautiful creatures and love to wear lots of gems. Another unique things about this doll, other than having two heads, is the fact that it can stand up on it’s own! The tail moves around and if you fold it to 90 degrees, it will balance the doll upright. This means that it is perfect to pose on a shelf in Miss M’s bedroom when not being played with. Also the fins at the side of the doll are luminous and have a slight glow at night, which also helps the Monster High girls swim about in the deep, dark ocean! The Peri and Pearl doll although different, is well made and will withstand play, it’s definitely caught the interest of Miss M’s friends who are always intrigued when they see it. Don’t forget to also check out the movie which is now out on DVD, Great Scarrier Reef is the latest adventures in the world of Monster High and one that fans won’t want to miss. There are also other dolls available from the film, each with their unique looks and qualities, certainly worth checking out! 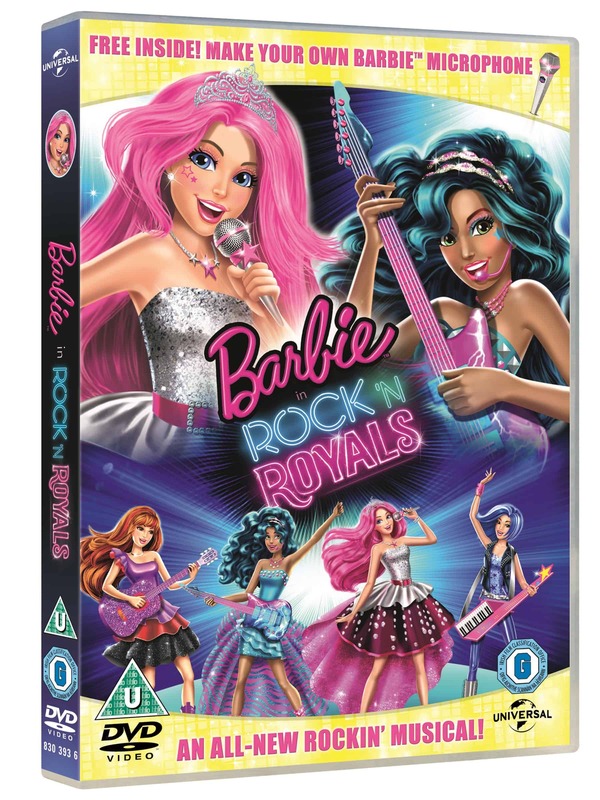 Barbie™ in Rock ‘n Royals is the latest DVD from Barbie™ and it certainly doesn’t disappoint. With lots of musical scenes and singing, the films sees Princess Courtney and popstar Erika get mixed up and in the wrong training camps. Princess Courtney in pop camp and Erika in Royalty camp. The film’s storyline is all about friendship, team working and making the most of the situation you are in, which Courtney and Erika certainly do in order to succeed and it’s down to their determination that the film comes to a happy ending. I watched this with both my children who remained glued to the screen throughout, although 4yr old Mister B loved the funny bits and repeated them out loud. 7yr old Miss M really enjoyed it and liked the sing off finale at the end. At 1hr and 20 mins long this is the right length to keep their attention. 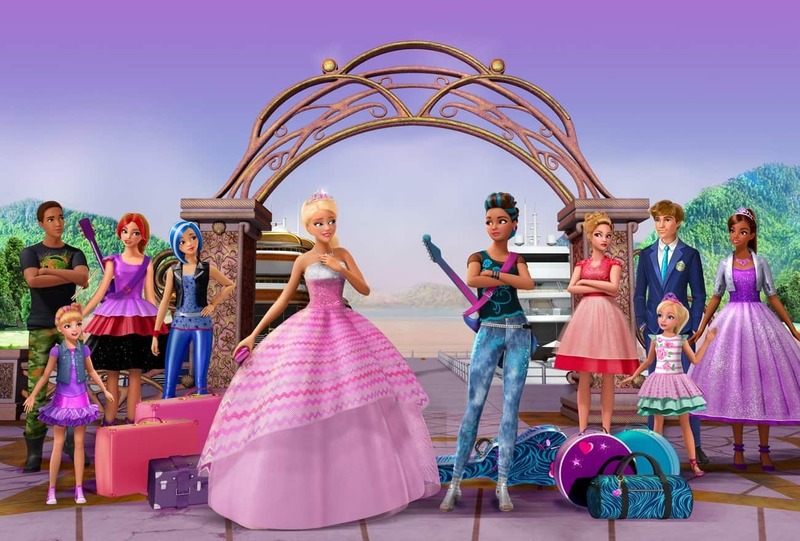 This Barbie™ film is fun, with the traditional style princess Barbie™ but also a modern edge with the pop camp where the girls had lots of funky coloured hairstyles and groovy dance moves! 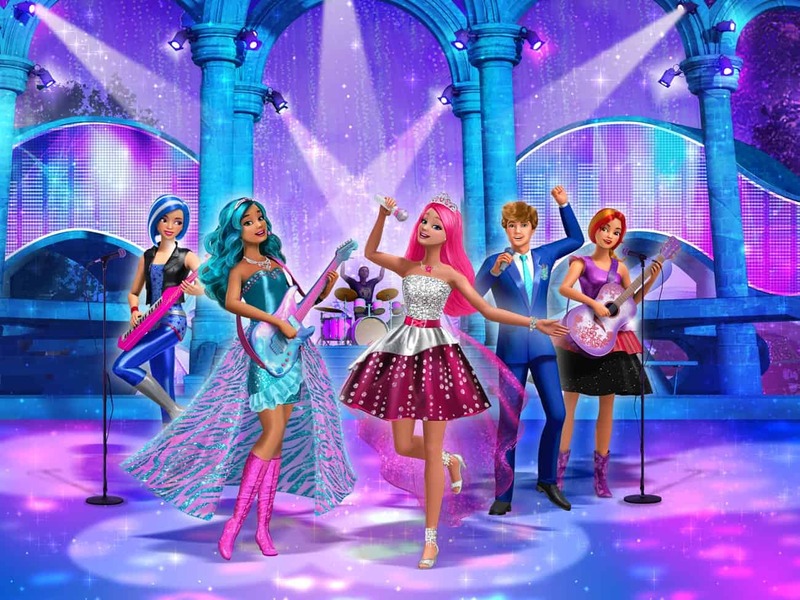 To celebrate the release of the brand new super star musical Barbie™ in Rock ‘n Royals, available now on DVD and Digital Download, we are offering 1 reader the chance to win a copy of the DVD! 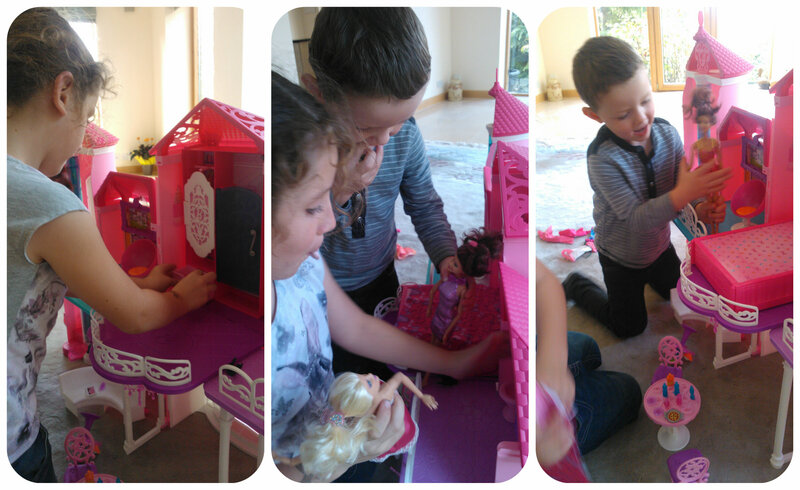 A range of dolls are also available to complete the Rock ‘n Royal experience, which we all had fun reviewing here! 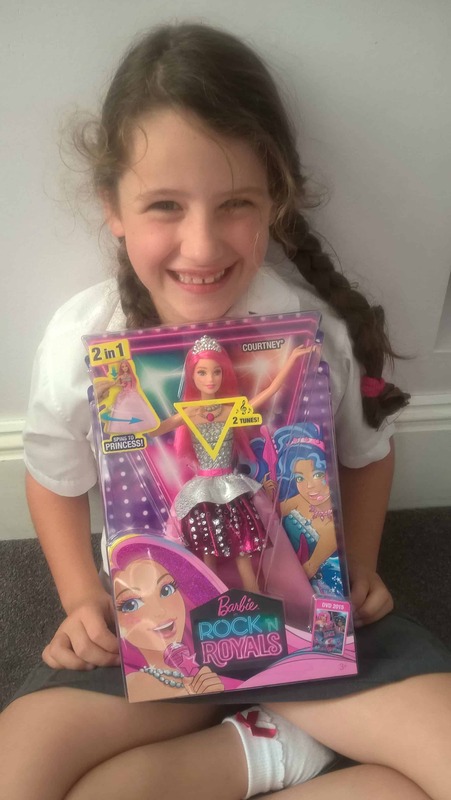 Barbie Rock ‘n Royals is the latest Barbie movie to be released which we watched last week and it kept both children glued to the screen, so Miss M was thrilled when the Courtney Barbie doll from Mattel arrived for her to try out. Courtney is the main star of the film, a royal princess who ends up getting mixed up when she goes to attend Camp Royalty but ends up at Camp Pop. She embraces her time at the camp and learns to become a pop singer which is reflected in this doll, who’s outfit can be changed instantly from princess to pop star by lifting the dolls arm! 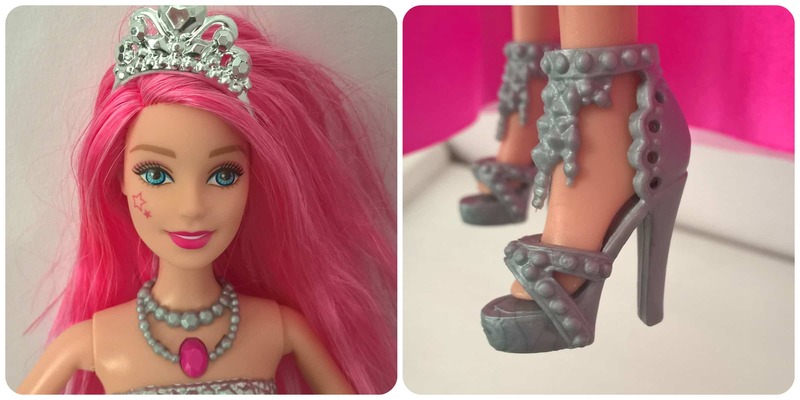 Courtney is beautifully dressed in a pretty pink princess outfit, tiara and silver shoes and when you push her arm down her body spins around to show a rock star outfit of a glitzy pink, black and silver dress and top. She has long bright pink hair and holds a pink microphone. To transform her back, simply lift her arm up and she twists back. 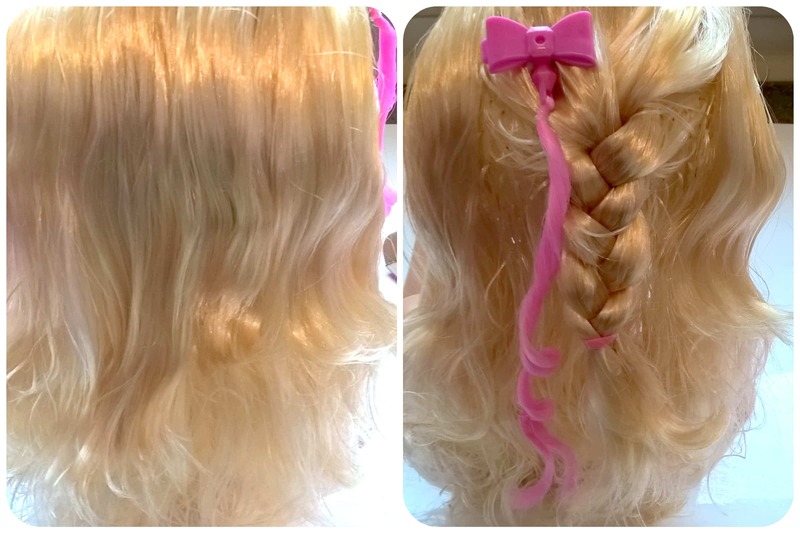 This Barbie doll really does feel like she’s stepped right out of the film into your living room, and Miss M loves playing with her and singing along, as she also sings clips of songs from the film as she transforms. You can also play shorter clips of the tunes by pressing the gem button on her necklace without her transforming. The children loved doing this and hearing the songs again and again. 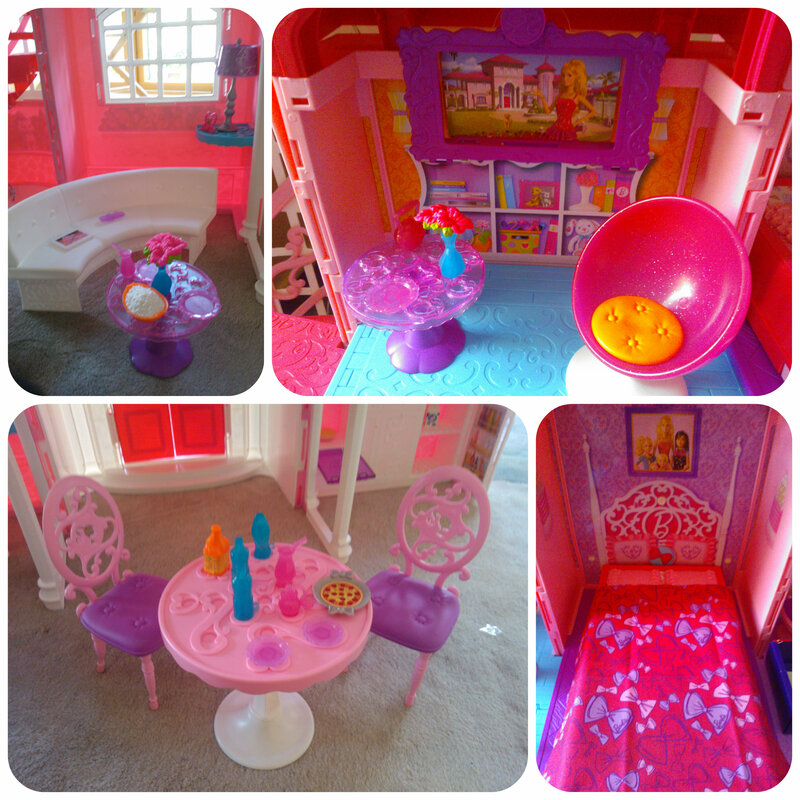 Princess Courtney Barbie has been a much loved Barbie in this house with her pretty pink hair and beautiful outfits. 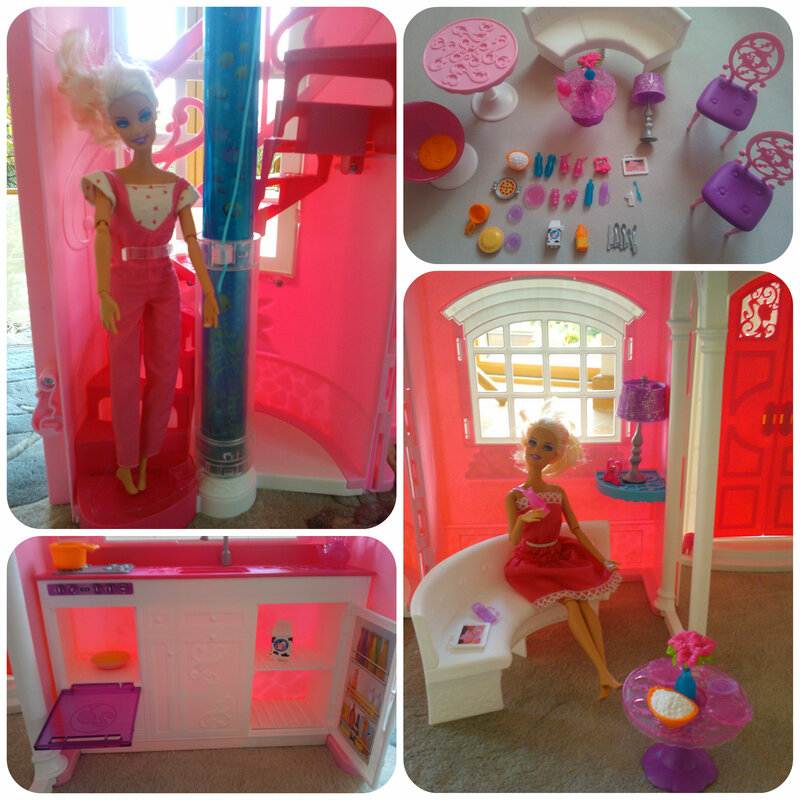 She’s modern but elegant at the same time and I have to say one of my favourite Barbies of Miss M’s collection. She certainly entertains us with her singing after school each day!! 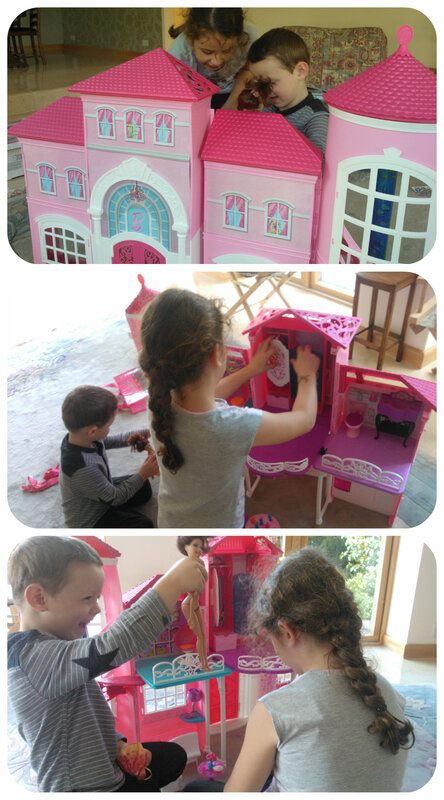 Barbie Rock ‘n Royals has been a big hit with us, I think it always help bring a doll to life when she’s come from a film, as the children already feel like they know her and use their imagination to play out scenes that they remember from the film. 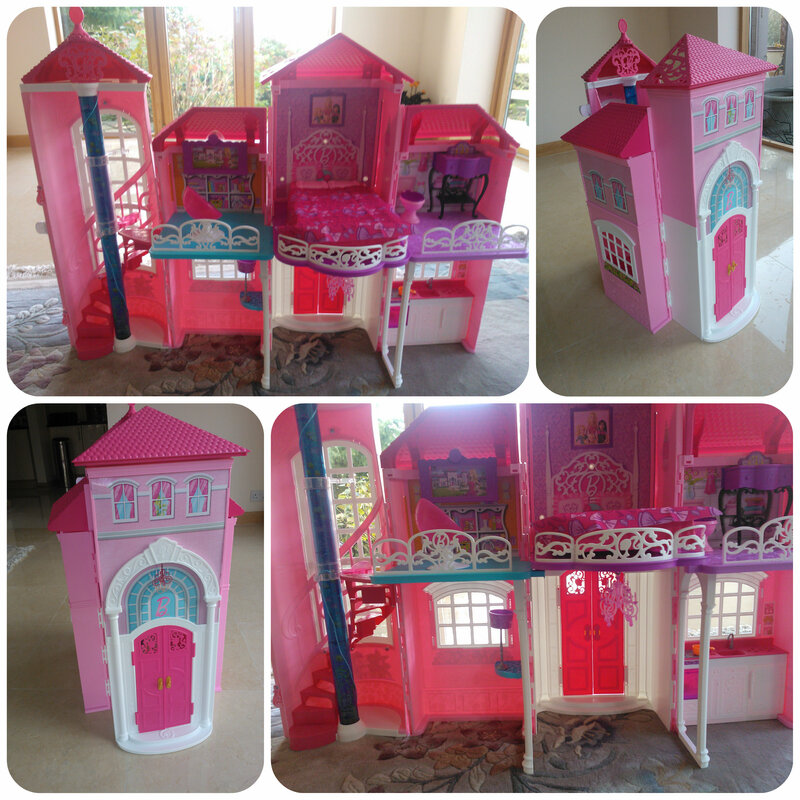 So as you can imagine, Courtney has been acting our her princess to pop star transformation lots of times here with us! 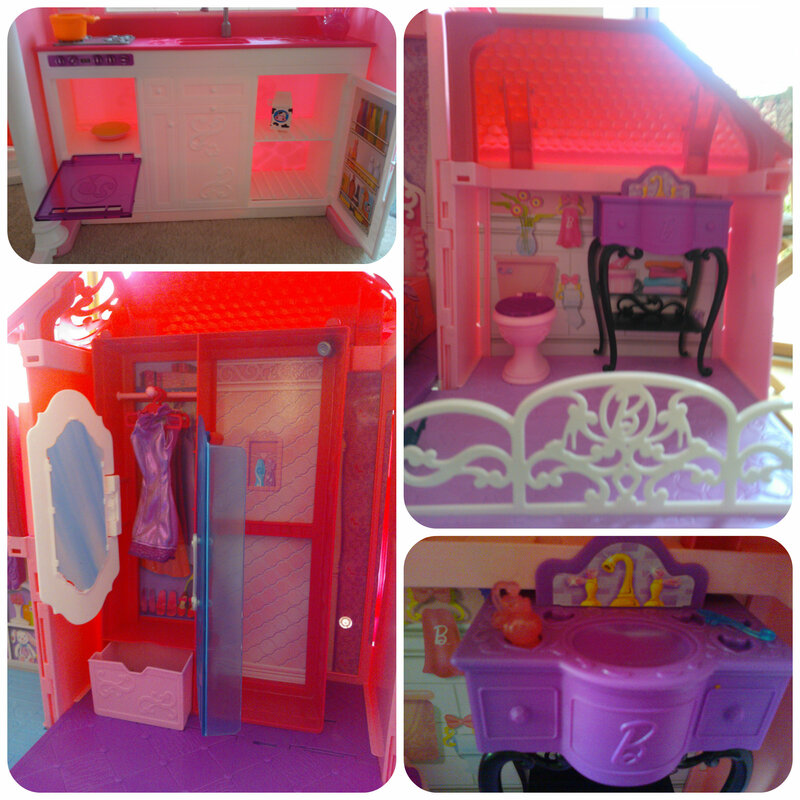 All reviews are my own and my family’s opinions and we received the Barbie in order to write the review.